And Sekiguchi designed a pair of quintessential summer themed Momokos. 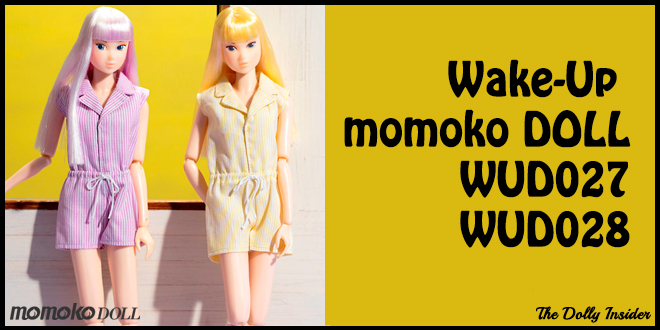 Wake-Up Momoko DOLL WUD027 & WUD028 are a pair of laid back girls dressed in a bright and comfy romper suit. The Wake-Up Momoko line features Momoko in simple outfits and is great for collectors who are new to the Momoko brand. Are you fan of this duo? If you had the opportunity to design an outfit for the Wake-Up Momoko line, what style would you put them in. Would you stay with the usual romper theme but add a new twist to the look or would you create a totally different one piece outfit?